The Early Bird Deadline is fast approaching! Planning to join us at the ASA Inaugural Annual Conference? Register today to make sure you receive the early bird rate of $299, $50 off before April 30th, $100 off the price at the door! On February 13, 2019, Representative Judy Chu from California introduced H.R. 1182 (2019), the Senior Care Act, and H.R. 1183 (2019), the Hero Care Act, to provide seniors and veterans, respectively, with acupuncture service from a licensed acupuncturist. These two communities—groups deserving of our best healthcare—suffer from many of the complaints which respond well to acupuncture treatment. Along with the familiar testimonials from satisfied patients, demand for acupuncture in the U.S. has been spurred by the news in 2015 that the Nobel Prize had been awarded to Tu You You of the China Academy of Traditional Chinese Medicine for her discovery of a powerful malaria medicine derived from a Chinese herb. Although this represented the ultimate endorsement of Chinese medicine by the global medical community, a steady stream of positive outcomes in acupuncture research offers an even more compelling stamp of approval. These range from a now famous study that demonstrated the benefits of acupuncture in infertility treatments to a more recent study by the National Cancer Institute which found acupuncture significantly reduced breast cancer treatment-related joint pain. At a time when the opioid crisis costs billions of dollars and steals the lives of more than 70,000 Americans annually, the most important feature of acupuncture care is its potential to revolutionize pain management. Backed by the Veterans Healthcare Act and Medicare, acupuncture professionals will be able to develop personalized strategies to treat the chronic pain experienced by all too many of our honorable veterans and revered seniors, providing welcome relief while avoiding the pitfalls of addiction. 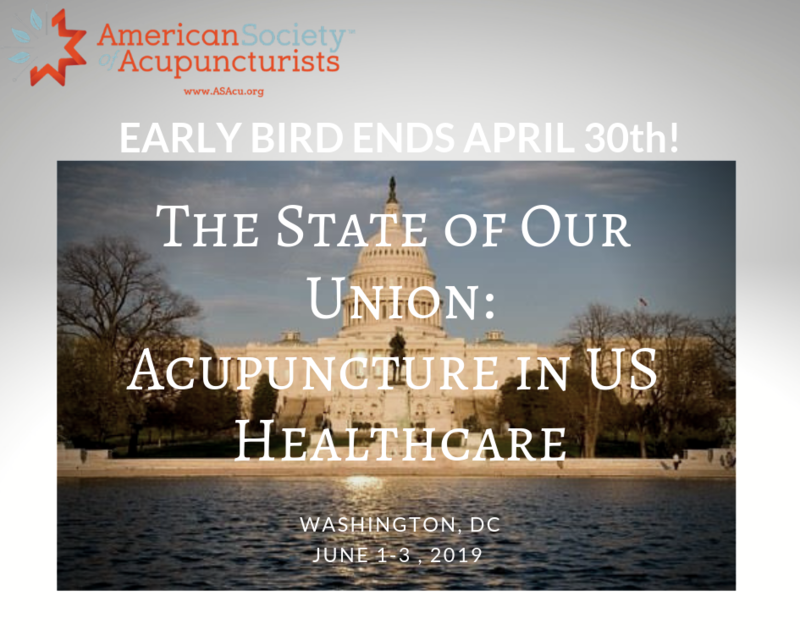 We anxiously await the legislative changes that will allow those patients who need it the most to enjoy the remarkable value of the healthcare we provide, a thrilling first step towards increased access to acupuncture for all Americans. On March 10th, 13 local expert licensed acupuncturists practitioners including three Chinese practitioners from Los Angeles, CA have provided complimentary acupuncture consults and treatments to the public and residents of Hong Lok Retirement Center at 3920 N. 24th Avenue in Phoenix, Arizona from 10 AM to 1 PM. 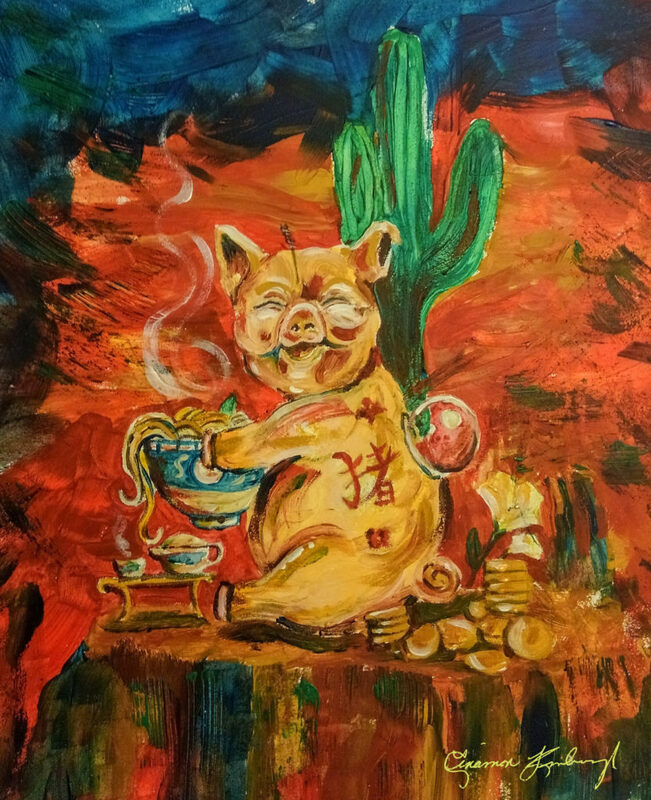 This event was supported by Asian Medicine Acupuncturists of Arizona (AMAAz); Council of Acupuncture & Oriental Medicine Association (CAOMA), American Alliance of Acupuncture (AAOA). Korean Acupuncture & Asian Medicine Association in USA (KAAMA). The public was encouraged to attend, receive free treatment, and learn more about this healthcare revolution. More importantly, to help support acupuncture care for seniors and veterans, please contact Senators McSally and Krysten Sinema, as well as your Congressional Representative, today and urge them to support these life supporting healthcare bills. This article was contributed by Cinamon Kimbrough, L.AC., David Price, L.AC., Lloyd Wright, L.AC., and Y.M. Chen, L.AC. Created and painted by Cinamon Kimbrough, L.AC., Scottsdale, AZ.